Textile Exchange announces the first draft release of the Responsible Wool Standard (RWS) for a 60 day Public Stakeholder Review by interested parties. 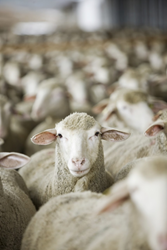 Textile Exchange is excited to announce the release of the first draft of the Responsible Wool Standard (RWS) for Public Stakeholder Review by interested parties. This is an important opportunity for the public to give input into the standard, and ensure that it meets its goals and delivers value to the wool industry. Wool owes its unique properties to the sheep that grow it, and we owe it to the sheep to ensure their welfare is protected. To this end, Textile Exchange started an International Working Group to develop the Responsible Wool Standard. The standard has been written through an open, multi-stakeholder process, with representation from a broad spectrum of interested parties, including animal welfare groups, farmers, wool suppliers, and brands and supply industry associations, covering both apparel and home categories. Work on the standard began in early 2014, and has involved the generous input of multiple experts alongside the support and engagement of brands and retailers. Pilot audits have been were conducted in Australia, New Zealand, Argentina, South Africa, Austria, United States and the UK, each providing valuable information used to refine the requirements and refine the auditing and certification approach. The Stakeholder Review will remain open for 60 days, in accordance to the ISEAL Code of Good Practice for standard setting. Following the Review, the RWS Technical Group will review the input, make revisions, and put the standard out for another 30 day Open Stakeholder Review, after which final revisions will be made. Updates to the progress will be posted at responsiblewool.org. Textile Exchange (TE), founded in 2002, is a global nonprofit organization that works closely with all sectors of the textile supply chain to find the best ways to minimize and even reverse the negative impacts on people, air, water, animals, and soil created by this $1.7 trillion industry. TE accomplishes this by providing the knowledge and tools this industry needs to make significant improvements in three core areas: Fiber and Materials, Integrity and Standards, and Supply Chain. TE has developed and maintains a number of important industry standards, including the Responsible Down Standard, the Organic Content Standard, the Recycled Claim Standard and the Global Recycled Standard. A truly global organization, TE is headquartered in the United States with Staff and Ambassadors located in ten countries. To learn more about Textile Exchange, visit: TextileExchange.org. Follow TE on Twitter at @TextileExchange.